Located on the east side of Cascade Locks in the Columbia River Gorge near the Cemetery are these two Oregon History Signs. “Cemeteries are places of peace – and repositories of history. The inscriptions, styles, and even materials of cemetery monuments bear witness to the changing times. 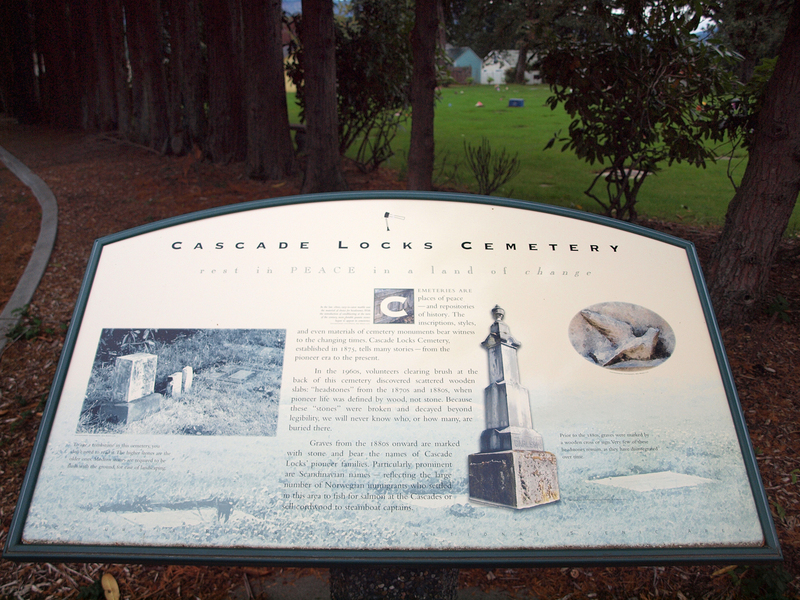 Cascade Locks Cemetery, established in 1874, tells many stories – from the pioneer era to the present. “You are standing beside a segment of what ws once the most celebrated highway in the West – the Columbia River Highway. 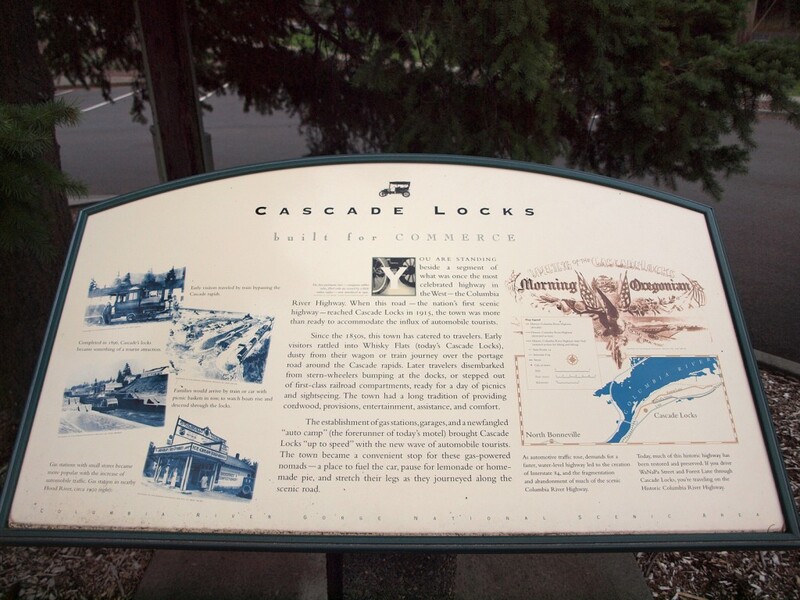 When this road – the nation’s first scenic highway – reached Cascade Locks in 1915, the town was more than ready to accommodate the influx of automobile tourists. “Since the 1850s, this town has catered to travelers. Early visitors rattled into Whisky Flats (today’s Cascade Locks,) dusty from their wagon or train journey over the portage road around the Cascade Rapids. Later travelers disembarked from stern-wheelers bumping at the docks, or stepped out of first-class railroad compartments, ready for a day of picnics and sightseeing. The town had a long tradition of providing cordwood, provisions, entertainment, assistance, and comfort.